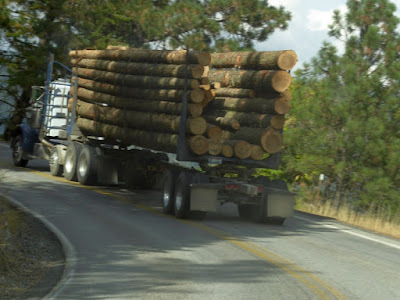 I was coming back from a nearby town a few days ago and found myself behind a logging truck. 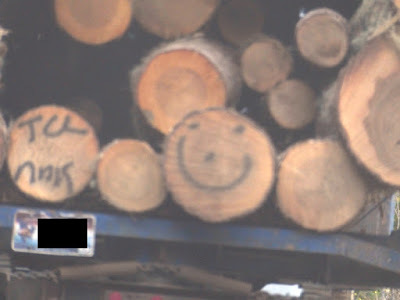 I noticed one of the logs had a happy face. Is this a happy log or a happy logger? My guess, it would be the happy logger. Happy that he lives in an area, where the liberal tree huggers have not curtailed logging. 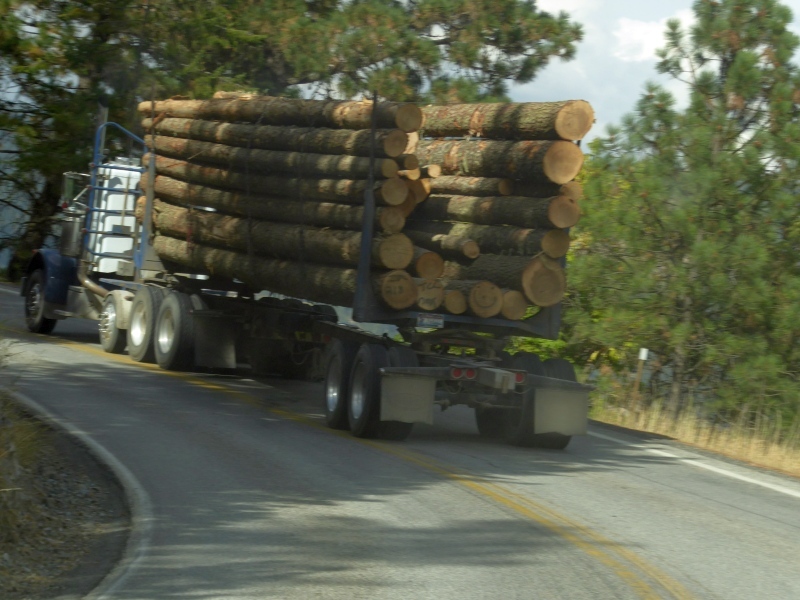 Between that and the misguided U.S. Forest Service have killed 90% of timber harvest in this area. They don't subscribe to the theory "Log it, graze it, or watch it burn". "Earth first, we'll log the other planets later."